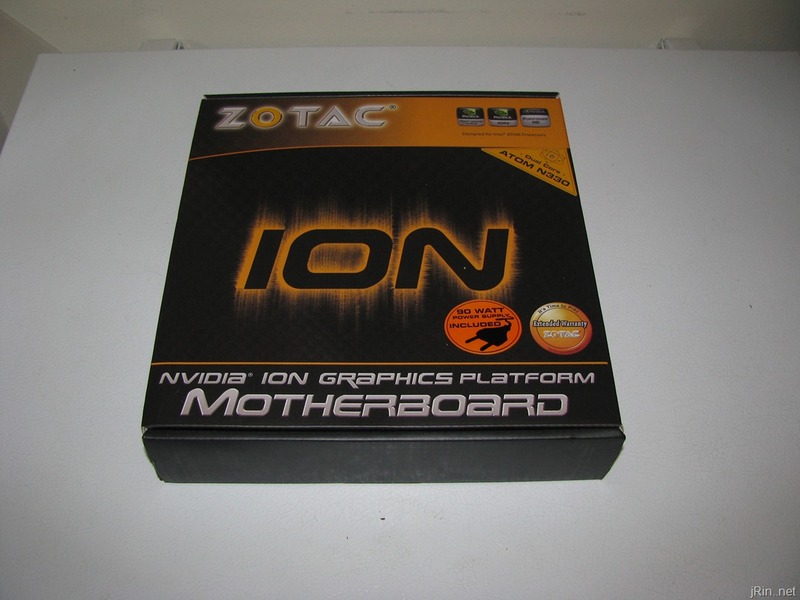 The Zotac IONITX-A-U is a motherboard + cpu + graphics combination that is perfectly suited to meet most HTPC needs: It uses very little power, has HDMI – DVI – VGA – eSata – Optical/Coax audio – Wifi – 6 USB, nVidia ION graphics, comes with a power supply, and has the added benefit of being of the mini-itx form factor. But can such a small package deliver where it count? Yes! Running 24/7, using a Kill-a-watt power meter I figured out it was costing me about $135 a year to run that system. Since all I was really using the computer for was to be a DVR/media box and for nightly backups of my computers, I soon decided it was a bit overkill on horsepower and energy usage. At the time, I had just begun to hear about ION and it’s ability to handle 1080P HD and such so I figured I’d give it a try; the potential of having an HTPC that sips power at the mini-itx size was just too temping for me. 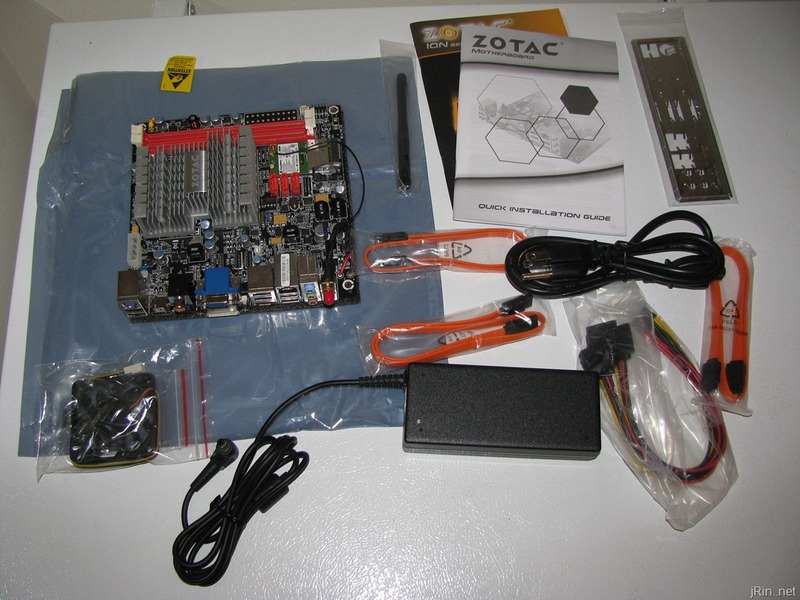 The Zotac IONITX-A-U comes with the mini-itx motherboard and dual core Atom N330 (hdmi, eSata, mini pci-e wifi, optical/coaxial audio, gig-e), built in ION graphics, and power supply for $180. 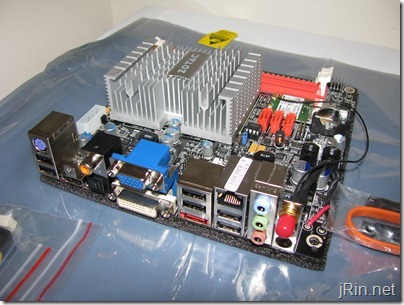 What made me choose this case was mainly it’s TINY size of 7.5” x 8.3” x 2.5” which nicely complements the IONITX-A-U. 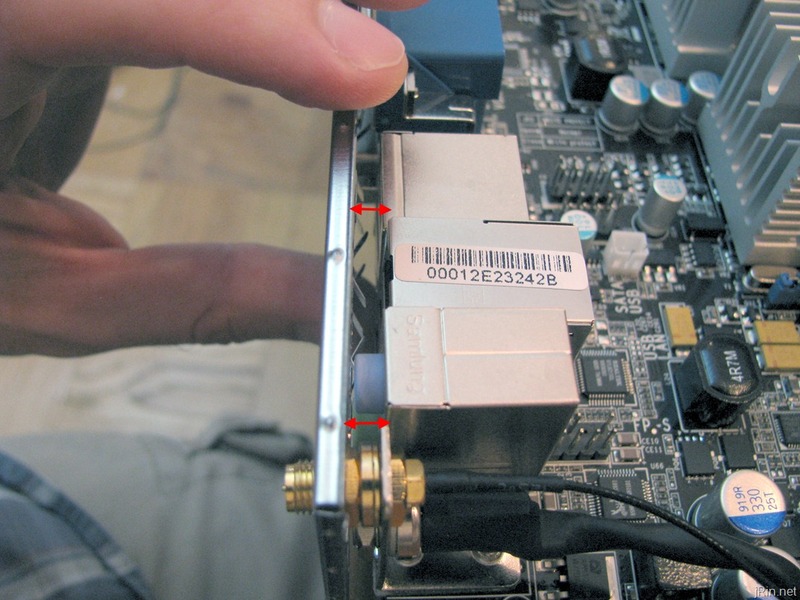 Also, it has VESA mounting holes which would work great for mounting it to the back of smaller TV’s (larger TV’s have a VESA hole pattern larger than the case itself). It is also pretty open, and by that I mean there are many holes, which has been working just fine for my setup (temperature wise) — though others suggest it hinders proper air flow. I could write much more about this case – and I will in a review following this one – just know that for this Ion setup, it works great. However, if you want a built in optical drive you’ll have to find a different case as there is no room for one in this case. I opted to instead buy a external slim usb blu-ray player so I could travel with it should I ever want to. One of the main advantages to using this as an HTPC as opposed to building a “normal” computer is for it’s energy savings. In Baltimore, I am paying about $0.20/kWhr including service and delivery so I’ve started to be conscious about my energy usage. (out of curiosity, what does everyone else pay??). On paper, the processor itself sips along with a TDP of a mere 8 watts — compare that to the latest “normal” low power desktop chips: Intel Celeron 430 35W or AMD Sempron 140 45W). Can it record and playback HD at the same time? Yes, it works perfectly using Windows 7 media center. I use HDHomeRun (which is a dual HD tuner that you connect to your network), and I can watch and playback HD content at the same time with no skipping while @ 1920×1080 resolution. 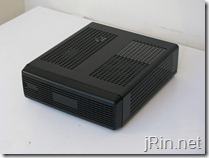 Can it playback bluray at 1080p? Yep, again, no problems at all watching at 1920×1080. You may also be wondering if it can play a variety of games and the like, but this setup is not meant for gaming (the processor just really isn’t powerful enough). Sure, you could play with the lowest settings and resolution with older games – but don’t plan on doing any “real” gaming with this rig. At times, however, I do notice a bit of lag when performing normal tasks. If I am browsing around the web and open multiple tabs, it is a bit sluggish when switching tabs and loading websites with a lot of rich media (flash, etc). I’m not saying it can’t even handle web browsing, I’m just saying that compared to my core 2 duo laptop, I do notice a slight hesitation when switching between multiple tabs/etc. That being said, all the menu navigations in Win7 media center, menu navigation/playback within Media Player / Power DVD for movies (dvd and bluray) are also fine, etc. Hopefully, I just got a bad i/o shield due to random manufacturer “errors”, or perhaps, they’re all like this – I don’t know – just be prepared to maybe have to do this too! Again, this isn’t necessarily a “fault” with the product, it’s just another thing you’ll want to keep in mind when building such a system! 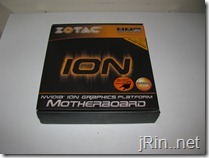 If you are looking for an HTPC setup that has a small footprint, uses little energy, and doesn’t cost TOO much (probably cheaper than a year of HD TiVo + the TiVo box, not including a usb bluray player), then a Zotac IONITX-A-U build is definitely something you should consider. 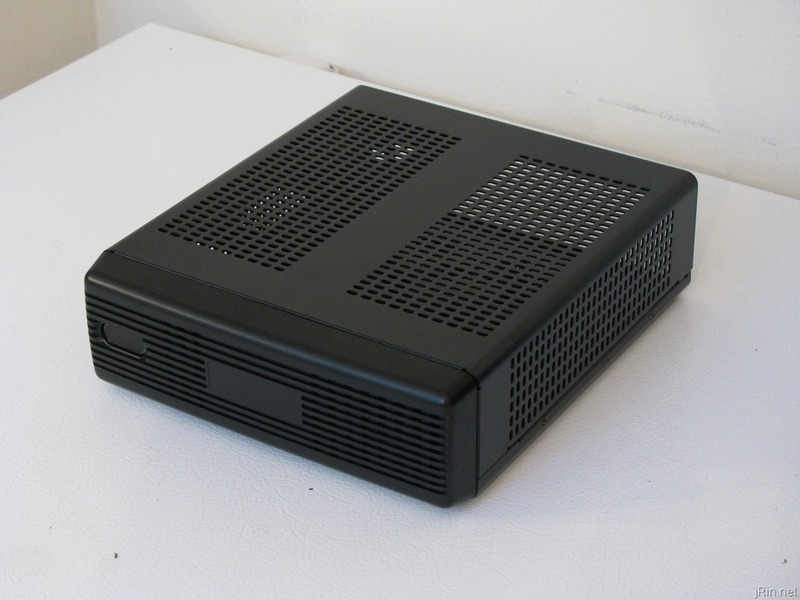 Using it as an HTPC you will have no problem with watching and recording SD and HD, playing back DVD | Bluray | Amazon Video on Demand | Netflix Streaming, listening/streaming music, and web browsing. Using it as a “basic usage” computer would also be fine, such as word processing, web development, very light gaming, chatting, light photo editing (resizing, touching up, etc), and even light video editing (windows movie maker) and you’ll be fine. It’s when you want to start video editing (adobe software), play games with any advanced graphics, heavy photo editing (photoshop-eque programs), is where you will start to exceed the ability for this setup. Could you still do all of that? most of it, yes if you don’t mind things being slow. 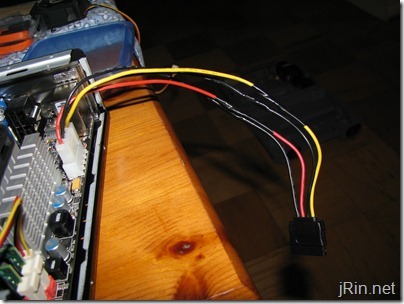 *Note – the speed of the hard drive I am using is likely causing more lag than would normally exist with a 7200rpm or SSD drive, which in most computer setups, the hard drive is one of the speed bottle necks. That being said, even with my 5400rpm drive, I am still able to perform media center tasks just fine. In short, if you are looking for an HTPC, this will work great – just be sure to get a mini-itx case to complement the setup! Can you make a review for the Proton? I just built my own media center based on the specs above but I notice it gets quite hot and I’m a little worried about it. 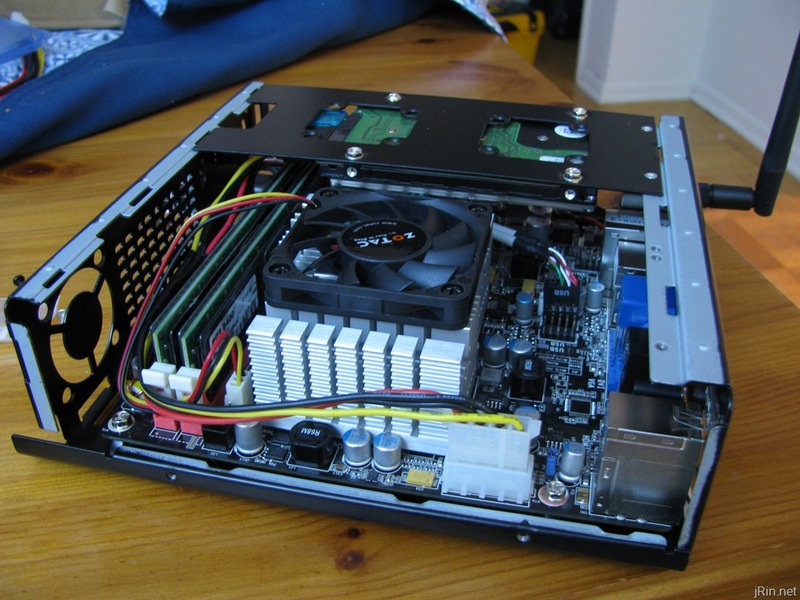 Have you had any heat issues going fanless with the M350? @Derek, I would definitely use the fan. Supposedly, you can opt to run without one, but espeically in a small case such as the M350 — even with the “open air” sort of design — I wouldn’t go with out using a fan. 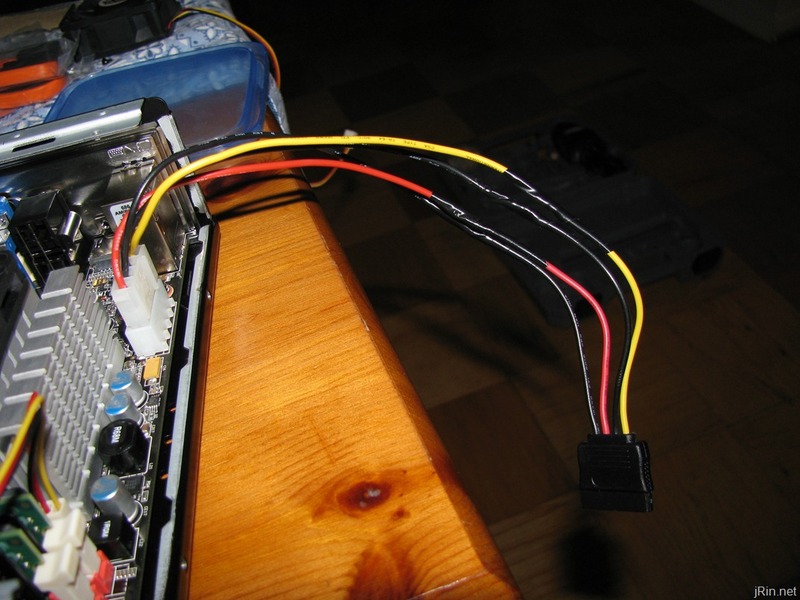 Have you gone into the bios (or downloaded http://www.speedfan.com ) to check the internal temps? So much for the “convection” M350 design. Using Speedfan, I measured my temperature under 50-60% continuous load to be 98C after 2 hours. 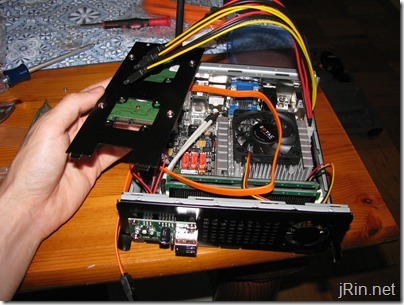 Fanless is not the way to go. 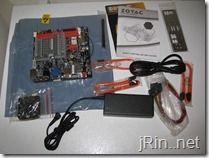 Using the Zotac cpu fan, I brought the temp. down to 55-60C under the same load. I found the noise from the fan unnoticeable at 6 feet so I will likely just keep it. I may purchase a 40mm case fan, if I can find a quiet one, to see if I can reduce the temp. further. Thanks for your help and for this great build. It was exactly what I was looking for. PS: You didn’t note the niftiest feature of the M350: that the power light is off when the PC is on and on when it is off. Perfect for a media center, IMO. PSS: I had the same problem with I/O shield, so it wasn’t a bad stamp in your case. It’s bad design. @Derek, hmmm, I must have messed up on the power LED plug because mine is on when it’s on (off when off) and it’s annoyingly bright! Guess I’ll have to double check my handy work later tonight…. I checked what I did and it appears to be correct. The power LED cable is connected with the letters facing towards the I/O, if that makes a difference. It’s specific behavior is: OFF or SLEEP=slowly blinking blue light, ON= no light. I made no changes to the BIOS and a cursory look revealed no setting to govern this behavior. Beware: I have found some Nvidia Videocards do NOT work with Sony TVs very well. During boot, the POST messages would show up fine, but then the screen would just go black and the PC would stop loading (no error, no reboot). I was forced to use an ATI card which worked fine. I know you did this write up 6 years ago, however I’ve been holding onto these machines for quite a while and just got around to playing with them. I’m very flustered about how this machine seems to not allow me to install over 2GB(max total) of DDR2. I looked around for a BIOS update but what I’ve found always gives me a bad checksum and I end-up reverting to 8.0.0.15 again. My ram that I’m working with is a no name brand that works fine with 1x2GB (667)DDR2 and then the OEM ram that is 2x 1GB sticks of Crucial (555). Any combination of ram that results in more than 2GB leaves me with a turned on machine that never boots (completely black).If you still have your machine around, can you tell me the BIOS and SmBIOS versions you are using? Timely analysis – I was fascinated by the details , Does anyone know if I can get access to a sample MO DWC WC-G-11 version to type on ?